High-end equipment includes flywheel training with Exxentric Kbox, squat rack, assault bike, kettle bells, dumb bells, medicine balls & plyo boxes to meet your rehab demands. Montana's only Humac Norm Isokinetic machine: to test and improve strength through a joint's entire motion-- accurately. 3011 sq ft gym with private rooms. Shower in bathroom. 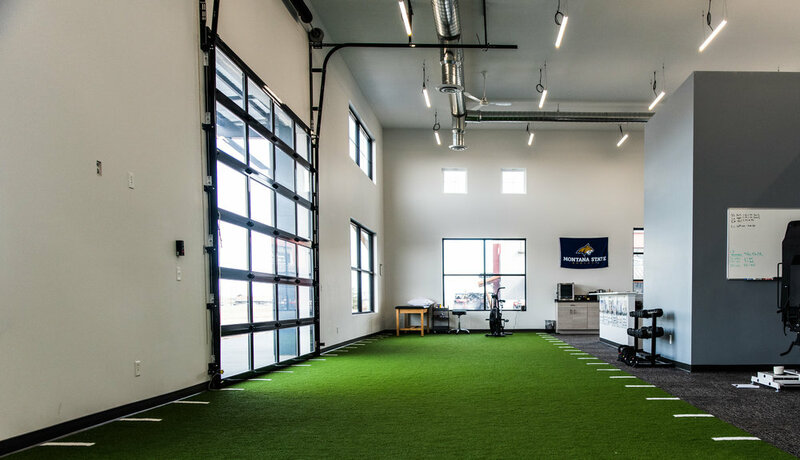 Premium field turf to address speed, agility, and sports specific movements. No chaos- just you and your physical therapist. Boost 1 Treadmill is the newest, NASA engineered antigravity treadmill on the market and the only in Montana. Reduce body weight up to 80% to reduce joint forces: perfect for stress fracture recovery and early in lower limb surgeries.